About Linux / Ubuntu / CSS / HTML / C# / Security and everything else……. Play around with the WCF Test Client to get the idea of how this works. 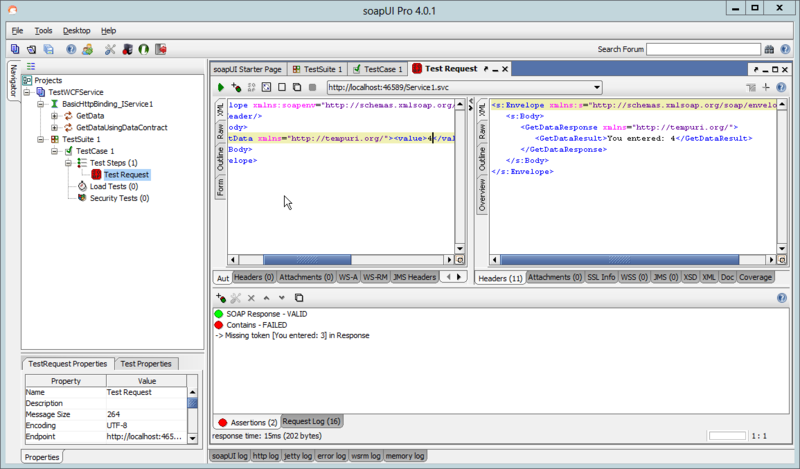 Next we will install SOAP UI. Download your copy here. 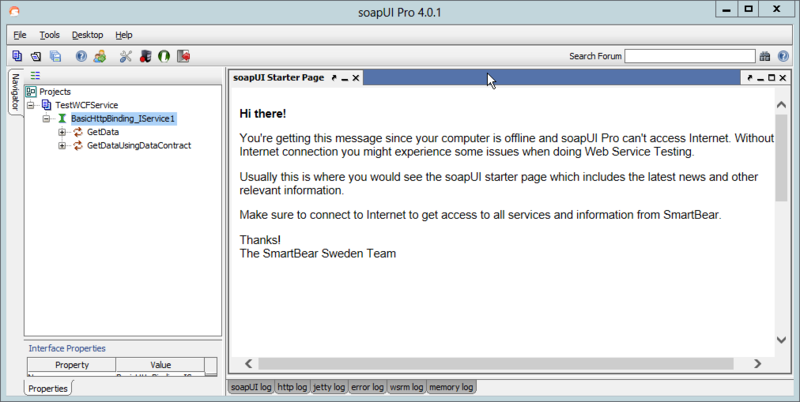 Install SOAP UI using the default settings. 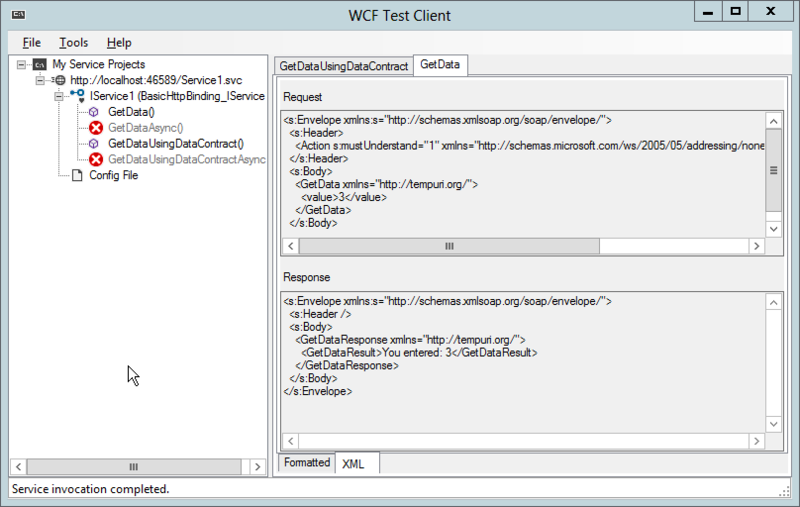 Now you can execute the same request as the WCF Test Client did; but there is more; much more! 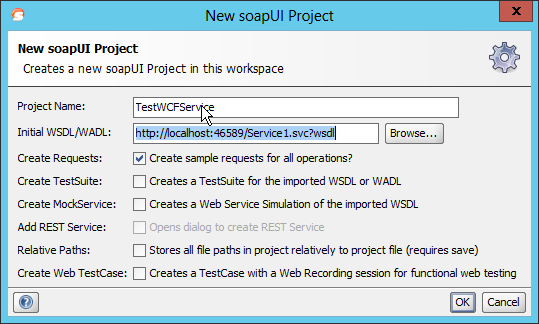 Right click on the WCFTestService1 and choose New TestSuite. Press OK. 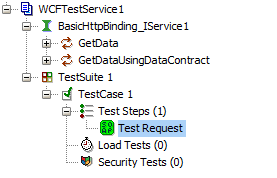 Right click on Test Steps choose Add step and then Test request. Type the text you want to look for in the response. 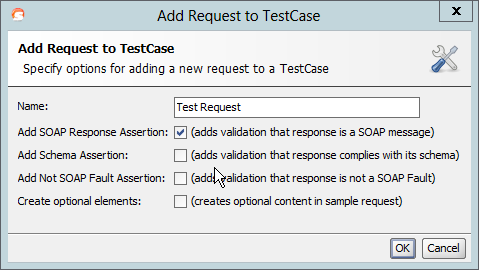 Now if you execute the request it will still succeed because the request contains the number three. 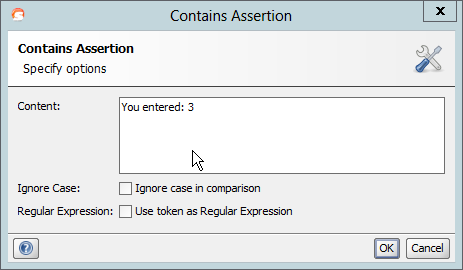 Change this number to, for example 4, and you will see that the assertion fails. 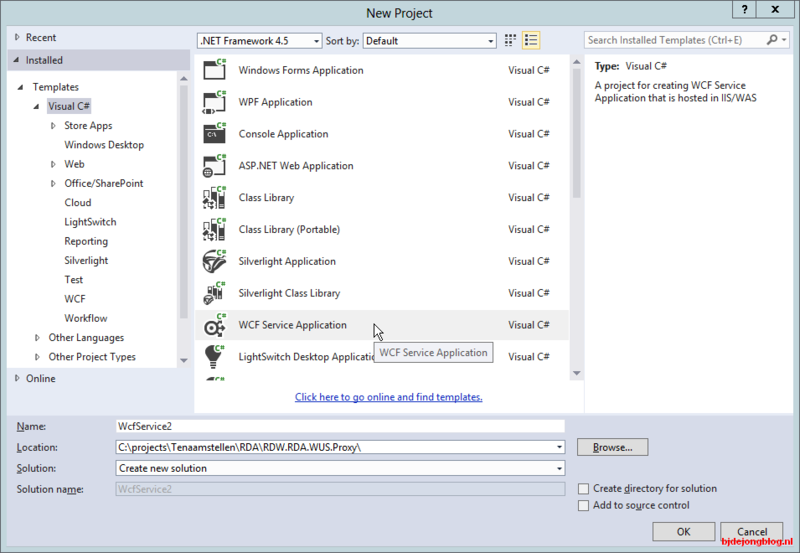 This entry was posted in C#, SoapUI, Visual Studio, WCF on March 1, 2015 by Berend de Jong.